Choicest Games wishes you all a happy 2015! Where are my self-lacing shoes, hoverboards and hovercars damnit! Hey everyone. Going to make this a quick one as the new year is almost upon us (well it already is I suspect if you're living just west of the International Date Line :)). On behalf of Choicest Games, I wish you all a very happy 2015! May it be a productive and prosperous year since I'm definitely hoping for some productivity and prosperity, that's for sure! Play 100% of the games in my Steam library: Notice I didn't say "complete" since that's a really tough challenge to set yourself, especially on roguelikes, Metroidvanias and a whole bunch of other genres that aren't meant to be winnable or are just too damn difficult for me! I currently have 352 games in my Steam library and I've done pretty well in that I've actually played approximately 253 which is just over 71%! Almost 3/4. I actually thought I only played 33% so not too bad (although that might still be the percentage of games that I've completed). Anyway, 100% is the perfect score but it's doable if I've already played the majority! Set a limit on how many games to review: I've already made a start in placing a priority or "importance rating" for a game so that I make sure I complete at least those reviews first before thinking of doing a review for every game I own that is released in a year. I currently have 57 games to review on my 2013 reviews list and about 81 for my 2014 reviews list. This is not feasible for someone who isn't doing this for a living! Consequently I'm thinking to aim for maybe setting myself a minimum of 24 reviews at least and see if I have time for anything else. Complete a Game of the Year 2013 article before the end of 2015: Because I'm obviously waaaay behind schedule :). And there you have it, what gaming New Year resolutions will you be making? Or is your attitude "to hell with New Year resolutions"? :) Let us know. 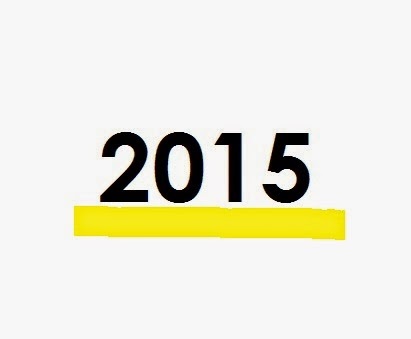 See you in 2015.